The July issue of Insider featured Tips for discussing boiler incentives with your customers. 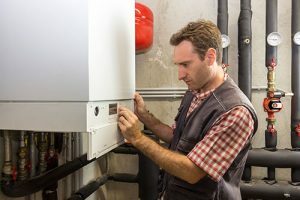 This article provides answers to some of the frequently asked questions about standard incentives for boiler equipment. Q: When can I use the standard incentive for a boiler equipment purchase? A: You can use the standard incentive for boiler equipment when you need to upgrade or replace a boiler that is primarily used for space heating in a facility. Q: Is boiler equipment used for both space heating and domestic hot water eligible for the standard incentive for boiler equipment? A: If the primary use is space heating and the secondary use is domestic hot water, then the equipment would be eligible for incentives if it meets efficiency requirements. Q: Am I eligible for the standard incentive if the boiler is used to heat an outdoor or indoor pool? A: Special-use boilers, such as those used for swimming pools or laundry, are not included in the standard incentive offer, but may qualify when submitted as a custom project. Your Energy Trust trade ally coordinator can connect you with an account manager to help with the custom process. See the Commercial Pools fact sheet for more information. Q: What are the efficiency requirements for the standard incentive for boiler equipment? Q: We have some backup boilers. Will these be eligible for the standard incentive for boiler equipment? A: Backup service equipment is not eligible for the standard incentive for boiler equipment. This incentive is for primary service equipment only.